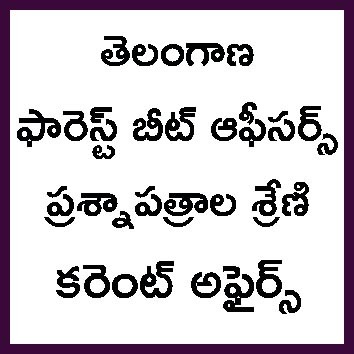 Are you preparing for Telangana Forest Beat Officers (TSPSC FBO) exam? Here is a chance to study systematically and get a good result in TSPSC FBO Exam. We Prepare a 35 Days Schedule to Complete total Syllabus of TSPSC FBO exams and Prepare 35 Practice tests. In this 30 are Divisional tests and remaining are TSPSC FBO Grand tests. Previous Tests in TSPSC FBO Practice Tests Series . . .